Hubelino is a marble run system that is 100% Lego Duplo compatible. What I mean by that is that you can build ANY structure with your existing Duplo bricks and then place the Hubelino marble run elements on top. By doing so, you build highly stable and unique marble runs that you can rebuild, change and extend as much as you like. Now, when people hear 100% Lego compatible they often think of cheap rip-offs and even cheaper plastic. I will talk about the latter in a minute. For now, let’s just say that this prejudice is wrong. Let’s get to the rip-off part first: There are many companies out there who produce construction sets and claim they are Lego compatible. What they do is they simply copy Lego’s brick design. That’s a shame, and definitely a business model that I would never promote on my blog. But Hubelino is different! It takes the Lego formula and completely reinvents it by building something ON TOP (instead of just copying): By taking the foundation of the most successful construction toy in the world and combining it with a toy that EVERY child loves, they have created something that really adds value. I seriously cannot understand why Lego never realized this idea themselves, as it seems so obvious, now that it is there. 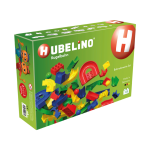 The Hubelino company is based in Germany and the plastic bricks they are selling are produced locally. The plastic itself is of very high quality and free of any kind of toxic materials. 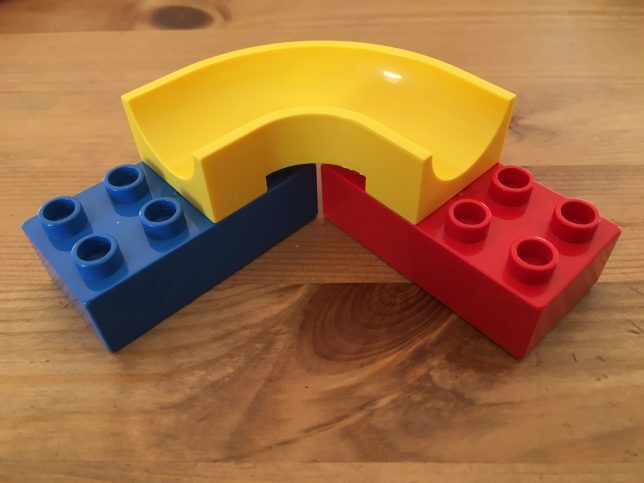 Compared to the Duplo bricks we own, I cannot see a difference in terms of processing quality: The bricks and marble run elements resemble the look and feel of those original Lego Duplo bricks, all corners are just as smooth as Lego Duplos are and they have a tight, but never too tight fit. I usually do not buy Lego-like toys that aren’t genuine Lego, because I am somewhat afraid that their plastic might contain harmful chemicals. And that is something I want to avoid at any cost, hence I am usually very careful and somewhat picky when selecting new toys for my son (and myself). But, again, with Hubelino’s high ethical standards and good production and material quality, I have absolutely no hard feeling to letting him play with these bricks as long as he likes. 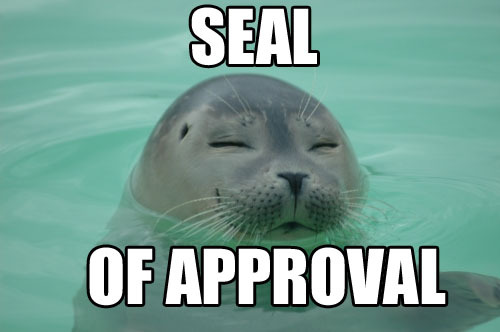 Hubelino, here is you ThatToyDad’s Seal-of-Approval! If you do not have any Lego Duplo bricks so far, your best bet is buying one of Hubelino’s starter set. They come with a whole set of Hubelino marble run elements (which are basically the core of the system) and on top of that there are a whole bunch of “construction bricks” included. 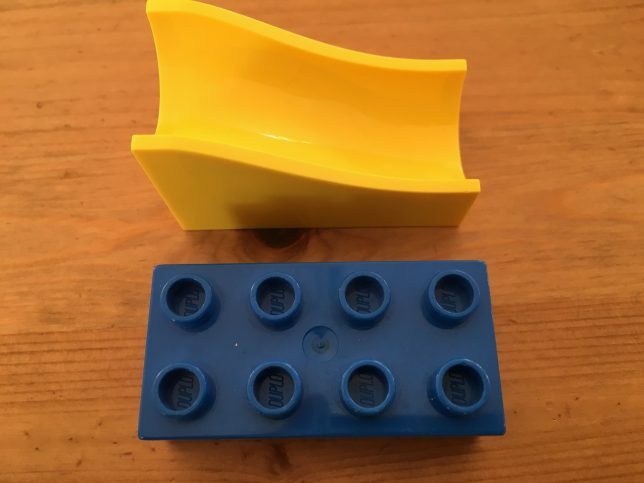 These “construction bricks” are basically “normal”, Lego Duplo compatible bricks that are used for building the supporting structure that holds the marble run elements later on. The cool thing about those bricks is that they are plain white which gives the finished marble run a very clean look: Everything that is just “support” is white, and everything that is “active” is very colorful. Also, white Lego Duplo bricks are something you don’t see very often, so here is your chance to get a whole bunch of them at once. If plain white isn’t your thing though, or you want a more colorful look for your child, build a collection of Duplo bricks first (either buy new ones or get used bricks on eBay or the like). Already own a whole lot of Duplo bricks? Then you’re all set to grab one of Hubelino’s marble run elements sets. They come without all the “construction bricks” and give you the best bang for your buck, as you already have these bricks sitting around. That’s the approach we chose. 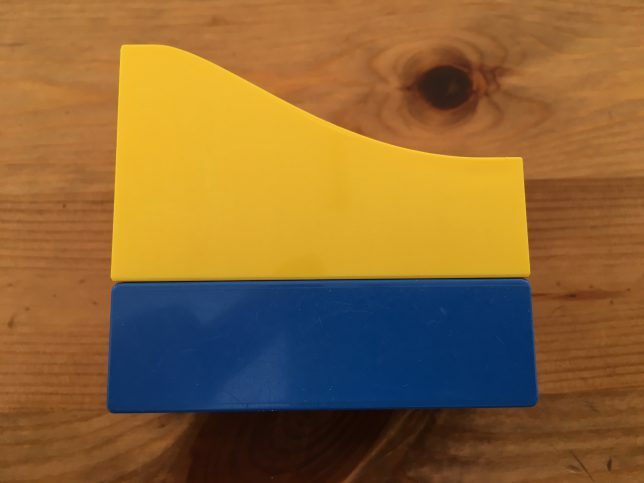 We still had my own Lego Duplo bricks around (which are over 30 years old by now and still in their best shape, which is an impressive demonstration of Lego’s high-quality standards!) and combined these with Hubelino’s the 50 pieces marble run elements set. It is very affordable considering how many hours of playtime you’re getting, even if you just want to give it a try for once. And if you and your child like it as much as we do (which I bet you will) you can always build on top of that by simply getting more expansion sets or stunt sets to build out your collection. It is the most stable and durable marble run system I have ever seen. Compared to wooden marble runs, it is nearly impossible for your toddler to push the individual bricks over by accident. 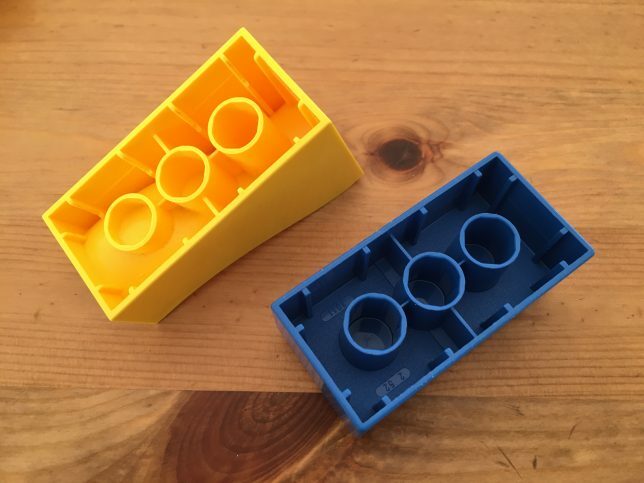 If know Lego Duplo bricks, you’re also familiar with their snug fit. 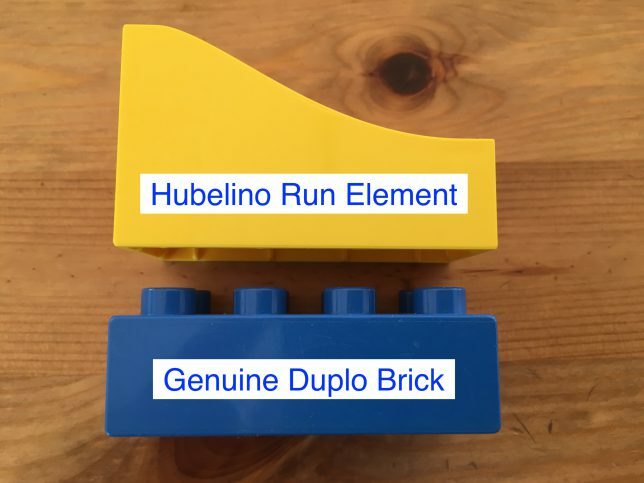 And the same is true for Hubelino.Take a look at the pictures below and see for yourself: I wanted to show you a detailed comparison between a standard Duplo brick and a Hubelino element, and how similar the design is with respect to compatibility. It is almost identical, which is great, as it proofs my point: Hubelino elements are not only 100% compatible, their stability is also 100% the same! The individual bricks and marble run elements are almost indestructible. The construction is very well thought out and the elements are 100% Made in Germany: The plastic is of very good quality and made of 100% toxic-free materials. The marble runs are really easy to build. Even though your 3-year-old will probably not be able to build with this toy all by himself, together you will build amazing marble runs in a matter of minutes. And if you’re ever running out of ideas there are tons of designs (with step-by-step instructions) which you can download for free from Hubelino’s website! Your first Hubelino marble run could be as simple as shown in the picture below. It’s a very short one, but it gets the idea across how Hubelino marble runs are built. It’s very customizable: If you already own Lego Duplo bricks, that’s great! As suggested before, in that case, you won’t have to buy the starter set. Just get the 50 pieces expansion set (like we did) and combine it with our existing Duplo collection. And it’s so much fun! And if you do not own Duplo bricks, that ain’t a problem either (as stated above): Just get the starter set and you’ll have everything to “get the ball rolling”, as these contain Duplo compatible construction bricks as well. The entire system is expandable and hence grows together with your child. You feel like building longer runs or add special stunt elements to your collection? Just buy more (and probably different) marble run elements and build the marble run of your dreams! The price is relatively high. However, considering the price of original Lego toys, the price is reasonable. And I’d rather pay a bit more for a high-quality toy that my kid can play with for years to come than pay less money for low quality, cheaply produced “crap” that falls apart when I just look at it and that might even be harmful to my kid because of the used material. Hubelino falls in that first group and I appreciate that and therefore am happy to pay the price they ask for. The balls that come with the system could be a bit heavier just so that they would carry just a little more momentum through the corners. On the other hand, the size of the balls is great (as small kids can’t swallow them that easy) which is also something that’s good to know. I do, however, recommend to play together with your kid. Not only because of safety considerations but also because it’s fun! The way you build a marble run with Hubelino is by building “backwards”, from bottom to the top, just like you would build a house or any other structure with Lego Duplo. You start by placing the final element where the ball is supposed to stop and work your way up from there. I don’t want to spend too much time explaining this, as I believe a short timelapse video will probably do much better showing you what I mean. If you feel like “freestyling” maybe a bit hard to begin with, simply follow the instructions that come with the starter set or download one of the many free pdfs from the service section of Hubelino’s website. A very convenient way to get ahold of your first Hubelino set would obviously be Amazon.com, as Hubelino runs their own, officially licensed store on their platform. OPTION A: I DO NOT own any Duplo bricks! In that scenario, you are best off getting the the 85-piece Hubelino starter set. It comes with everything you need to get started at a reasonable price and you can always expand upon it when you and your kid get hooked. OPTION B: I DO NOT own any Duplo bricks but want to go ALL-IN! So you and your kid can’t wait to get started, huh? I’ve got great news for you: Besides the basic starter set mentioned above Hubelino also offers a 106-piece starter set with a lot more advanced run elements, that allow you to build even better marble runs right from the get-go. So, without adding much complexity, you get a whole lot more flexibility, and that’s what counts here. If I would not own any Duplo bricks, this would be my starting point. By the way: This set even contains some elements that you cannot get in the expansion sets (at least not that I know). So, even though this is a “starter set”, I am considering buying this just to add some more of these crazy parts to my collection that I wouldn’t get ahold of otherwise. OPTION C: I DO ALREADY own Duplo bricks! That’s a great starting point! I can see where you’re coming from as that was me about six months ago. With that being said, follow my lead and get the 50 pieces expansion set and you’re all set. See how it goes, let us know in the comments and build upon that foundation! You won’t regret it. OPTION D: I DO ALREADY own Duplo bricks and want ALL the fun! Okay, now we’re talking. 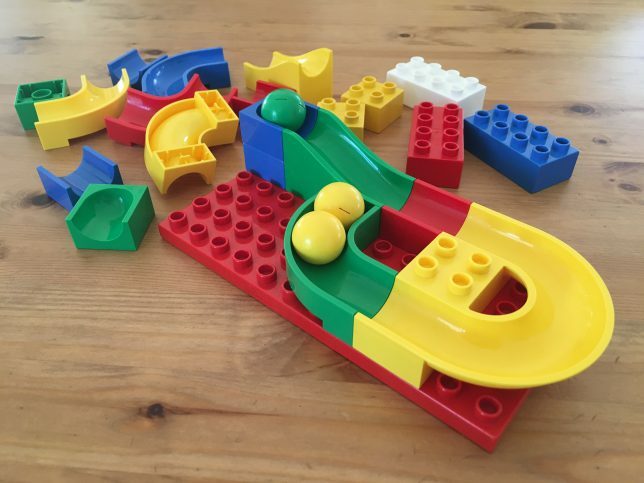 If you already know the legendary Lego Duplo quality, then there is no reason to settle for anything less than the ultimate, fully loaded 128-piece marble run elements expansion set. Get this set and build the marble run of your dreams right out of the box. This is where marble run legends are born! Your dream come true and definitely the next item on my very own toy shopping list! I hope you liked my review of the Hubelino marble run system and the sets that are available from the company. Even though I may be a bit biased about the company being from Germany, just like myself 🙂 No, seriously: I like their products, and my son and I love playing with them. I wouldn’t want to miss the experience of building these great marble runs together with my son, and I’m happy that we can play with that fabulous toy whenever we feel like it. I personally would rate it a crystal clear 9 / 10, which qualifies as one of the best toys I have come across so far and couldn’t recommend it more. If you liked this article or want to add something to the story, please make sure to leave a comment! I will reply; pinky promise! Also, if you have any questions, please do not hesitate to reach out and email me at chris@ThatToyDad.com. And finally, if you want to learn more about other toys that I recommend (from that special ThatToyDad perspective I told you about at the beginning of this review), make sure to read my Top 10 List Of Toys For 3-Year-Olds And Their Dads. Good and honest reviews on the toys and its brand. I never hear this brand before, but since it is compatible to Lego, it is definitely more recognizable to the market. Through your interesting video, I can see more of its fun with the whole family. And your options on how to DIY the whole marble run system are so considerate! thank you so much for your comment. Great that my review caught your attention. Yeah, the brand isn’t that famous yet. That’s probably because they are so much smaller than Lego. However, their product quality is good and certainly fills a niche that hasn’t been covered before! This is such a great toy! I totally wish I had this when I was a child. This seems much more sturdy than the marble works collection that I had when I was a child. I am also happy to hear that these pieces are non-toxin and made to the same quality of legos. So many times I have gotten sets that “work with” legos and they didn’t work. I do have a question though, are the balls actual marbles or are they just plastic balls? thank you so much for stopping by and taking the time to read my article and leave a comment. Glad to have you on board 🙂 Yeah, I’ve also heard of these cheap, fake Lego sets. Many of those are produced in China made of low quality plastic. Then these parts deform etc. which results in a really poor play value. These here are completely made in Germany, which is my local market, and stipulations are definitely quite strict here! We own our set for about six months now and we use it almost daily: The bricks are still in an awesome shape and condition! I agree with you that toys should be great for both the child AND any parent that has to play with their child. I think it really adds to the experience if we are BOTH enjoying the activity. Thanks for reviewing these toys personally so we know they are heaps of fun. I really like how they fit really snuggly on top of existing Duplo so that the kids can’t knock them over easily. My child has a strong preference for their favourite colour red at the minute, can you buy colour specific blocks? I actually played with an old version of that when I was young, it was not as refined and cool as in the article. I used it in building houses and all. I will actually get this for my children, because it is not just a little toy/ game, it is also a companion. I loved it and I hope my children loves it too. Hi Chris, well you have just made me want to come and play with this marble run and have the fun with Benni while we build this up to be a really fun run and then watch all the marbles as they go from the top to the bottom. I was reading this and wondering who has the more fun, is it Benni or dad. You are right though, you only get what you pay for and I would rather pay extra and get a first class item than trying to cut corners and pay less for something which could only last a few weeks or months than something that lasts no time at all. Have a great day! All the best to you and your family! My first question would be: Why didn’t they have that when I was a kid? I would’ve loved that! I still own Duplo as well as Lego bricks from my own childhood, because they are just something you can pass on to the next generation, as everyone loves them and because of the quality. Wow! That Hubelino toy seems really great! It is like the best big marbles marble run set! The quality of all those races was EXTREMELY AWESOME! However, thanks for this blog. I agree with you, the best way to connect with a child is by spending time playing with them. Why do I say this? My 5-year old nephew’s favorite is no other than his Tita! The reason? I get to spend time playing with him and attending to his needs whenever I’m around. We love playing legos as well. I’m not sure whether he has this Hubelino though, but if what you say about it is really fun, I would surely check it out as a gift for his upcoming birthday! thanks for your time reading my article and commenting on it! It’s so cool that you can spend so much time with your nephew. I bet that is so good for him. Having relatives around every now and then is so good for kids. It brings some variety to the table and makes kids experience alternatives to just playing with their moms and dads, and other kids of their age. Benni, for example, loves it when his grandpa is around! Make sure to ask your nephew’s parents, though, if they already have Duplo around, so you know which set is the best for you to get! And please let me know how your nephew likes them. I’d say that 5 years is the perfect age to get started with that toy! I agree with you that fun is one the best ways to learn new things and build relations. Hey Mario. Thank you so much for visiting and leaving a comment! Glad I could help you with finding a present idea for you cousin! Please let me know how she likes it when you give it to her, will you? Thank you very much for sharing with all the photos, hope you keep up posting your similar recommendation. wow, what a nice feedback. Glad you liked my review and the product as well. 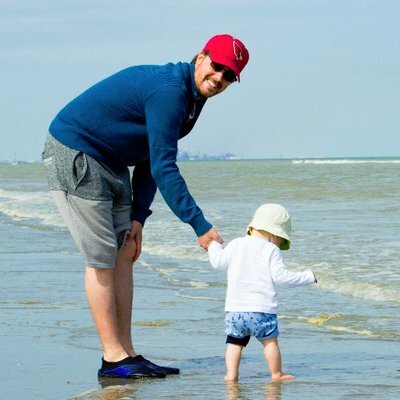 It’s probably not that well known in the US, and I am happy that I can raise some awareness for this company and their products. Please make sure to reach out again and let me know how your kids (and husband 🙂 ) liked it when they get it, will you? This was an awesome review of Hubelino, with a lot of visual images and tons of information and content on the subject. Parents with small kids will love this review and will probably get a set of their own.